The intersection of beauty and function is where life happens. Your home is a gathering place for family and friends; it's where memories are made and where life happens every day. TruKitchens is passionate about the designing of your dream living space in a way that reflects your personal taste and lifestyle. We work alongside you, listening to your vision and needs, translating that into reality for you to enjoy for years to come. Nestled in the trees on the Thornapple River, every room in this contemporary home boasts a beautiful view. 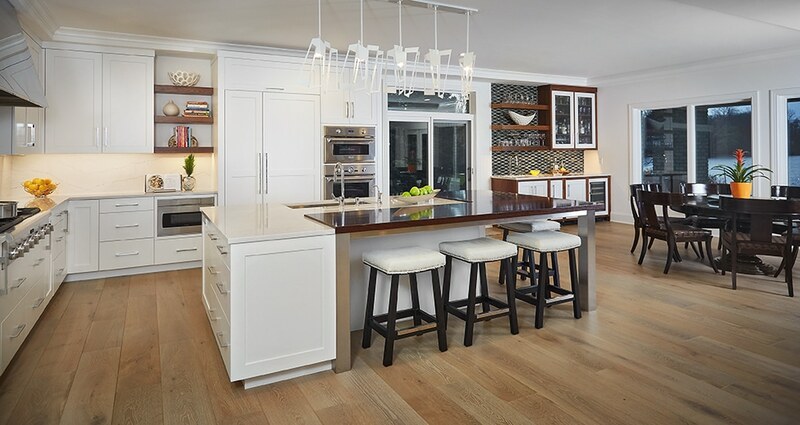 This custom remodel project began as a flip and was purchased by empty-nesters before the work even began. They fell in love with the wooded location with Thornapple River frontage and the potential in the existing spaces. 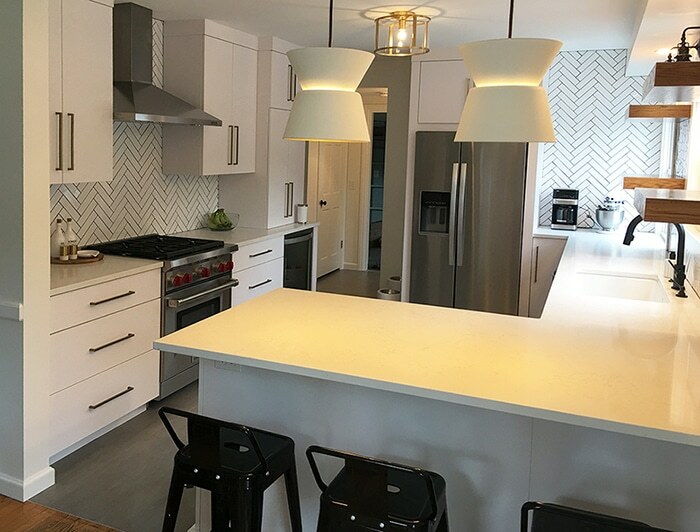 TruKitchens showed a high level of professionalism and dedication to our project. They showed up early and stayed late to ensure our deadline was met, which was one of the reasons we chose to work with them. We love how open and bright our kitchen feels. TruKitchens is my first choice when selecting a kitchen designer. Their team is personable and collaborative. They build 3D computer models to help clients visualize the direction of their project. A testament to their great work, TruKitchens designed my own kitchen; the resulting style fits us perfectly and fell right within our budget. 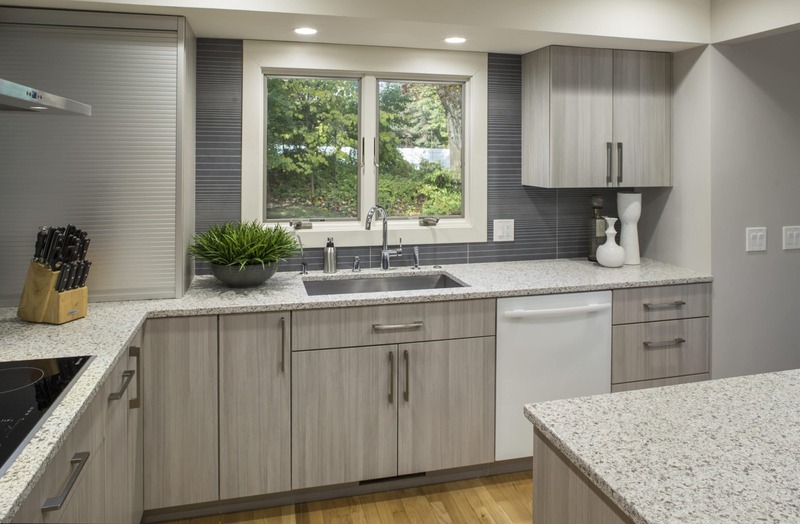 Working with TruKitchens was the BEST part of our entire remodel project. They really listened to our needs and understood what our goals were. 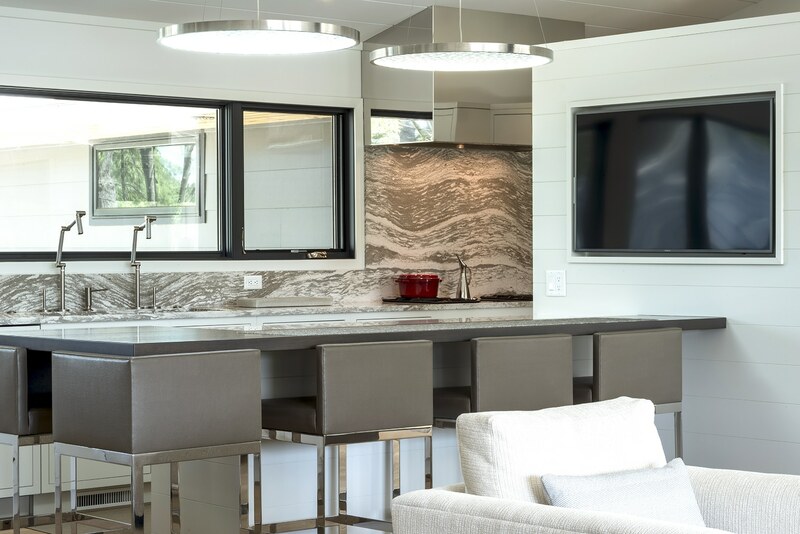 TruKitchens helped us come up with a great plan to open up the whole house; the new design highlights the views of the lake and is perfect for entertaining.